Find out what's happening and the impact we are making on our students! Texas Empowerment Academy is committed to providing our children with an innovative alternative for educational excellence. 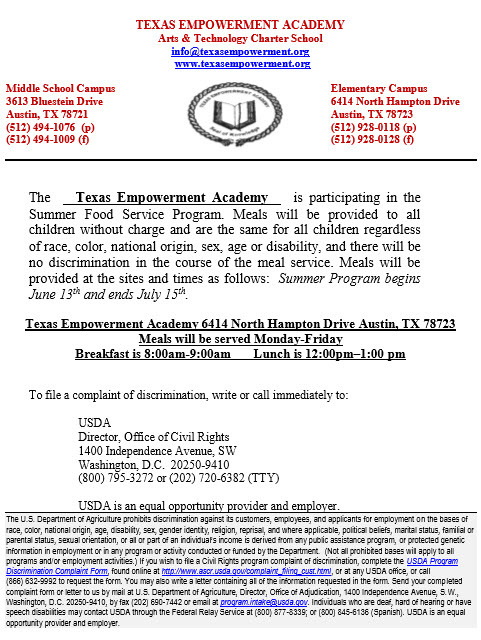 Nutritious free meals are available for children and teens 18 and younger at Texas Empowerment Academy's Elementary campus this summer, June 13th - July 15th.